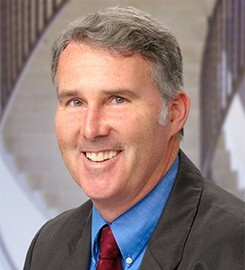 Daniel Sheehan has been a member of the faculty at USD since 1989 and is Professor of Physics. His research interests include the second law of thermodynamics, retrocausation, nanotechnology, plantary formation, and plasma physics. Sheehan has a number of research interests including exotic plasmas (dusty and negative ion types), nonlinear fluid mechanisms for planet formation, sports physics, nanotechnology, chemical catalysts, and the physics of retrocausation (the proposition that the future can influence the past). Over the last two decades he has investigated theoretical and experimental challenges to the second law of thermodynamics. He coauthored the first mainstream scientific treatise on second law challenges and organized the first international conferences on the subject. He is a fan of the philosophers of science Kuhn and especially Feyerabend who believes that, when it comes to scientific discovery, "Anything goes!" Sheehan teaches most of the physics core curriculum courses but has also developed special topic courses, including "General Relativity," "Cutting-Edge Physics," and "Symmetry and Chaos." With colleagues in Biology and THRS he has team-taught Honors Program courses "Creation and Apocalyse" and "Order and Chaos." One of his pedagogical goals is to help students develop personal styles in approaching real-world physical problems using back-of-the-envelope techniques -- without the use of calculators or notes. For example, by their senior year, physics majors should be able to tackle simple "physics koans" such as: "I cover the golden Sun with my thumb. You disappear six kilometers away. How many fish are there in the sea?" Submit changes to Daniel Sheehan's profile.